← Monday Question – What Bugs You About Perfume? I must admit that I struggle with the traditionally masculine vetiver note when it’s centre stage in a perfume, so I hoped this evening might broaden my knowledge of the material and give me a greater appreciation of it. The talk was hosted by regular PLL attendee and vetiver aficionado, Neville Midwood, assisted by Lila Das Gupta. Neville originally started his vetiver exploration with what many see as the reference vetiver, Guerlain’s Vetiver. Unfortunately it reminded him of Raid fly spray, however he soon found a plethora of other vetivers to fall in love with. In his introduction, Neville explained how vetiver is a veritable super-plant. The grass is used for a wide range of purposes. The dense stems help in water conservation, the deep root structure prevents soil erosion, the leaves can be used as animal feed, it protects crops from pests and it even has medicinal benefits. It is also used to make mats, ropes and thatch roofs. The perfume material is taken from the roots and was first used in modern day perfumery in the 1890s. The largest producer today is Haiti, although India and Indonesia are also major producers. There are approximately 300 fragrances with the word vetiver in their name. First off we sampled vetiver oil from Laboratoire Monique Remy. The pure oil is pretty potent stuff. Earthy, grassy and smoky, it is sometimes described as metallic or medicinal. Personally I struggle with the smoky facet which I tend to perceive as swampy and almost stomach churning. However, I can fully appreciate how the material can add depth to a perfume as well as beings beneficial as a fixative. Notes: Vetiveryle Acetate, Iso E Super. Neville: This fragrance showcases vetiver acetate which is the aroma-chemical most commonly used in perfumery to represent vetiver (although it is derived from the plant). It is earthy, masculine and slightly smoky. Vetiver fragrances often open with citrus notes and here it’s given a lift by lime. Notes: Bergamot, vetiver, coriander leaves, sandalwood. Neville: This is at the “classy gentlemen” end of vetiver fragrances. Released in 1959, it’s a good example of what vetiver fragrances used to be like. It’s quite fresh and cologne-like. Lila: I prefer it to the Guerlain Vetiver. It’s what Guerlain were trying to do, but I think what Givenchy actually managed to achieve. Audience member: It’s very refined. Notes: Vetiver, orange flower, grapefruit, aromatic sage, orris, nutmeg, pimento, amber woods, oak moss. Neville: This one has a grey feel to it. I think of it as a man in a grey suit. Audience member: It’s younger than the Givenchy. Lila: It’s like a sporty version. It’s very solid, uncomplicated and easy to wear. Audience member: It’s quite green. Notes: Vetiver, citrus, cypress, absinthe, dark woods, violet, cardamom, clove bud, guaiacwood, leather, cashmere musk, vanilla. Neville: Vetiver Spice was released this year. I got my bottle online from Selfridges, and it is being sold in the perfume hall there as well. It’s a vanilla take on vetiver. Lila: It smoothes out the vetiver and rounds off the edges. It might be a good substitute for the discontinued Guerlain Vetiver pour Elle. Audience member: It’s very sweet. Neville: I wear a lot of vetivers but when I put this one on my wife says “That’s quite nice”! Audience member: I get incense. Lila: It’s very wearable without being simplistic. Audience member: It’s much more feminine. Notes: Bergamot, bitter orange, pink pepper, cloves, vetiver, sandalwood, cedar, oakmoss, myrrh, musk. Neville: This is Lila’s gold standard vetiver. I saw it described by one online commenter as “a dry vetiver in a damp forest”. I wear it when I’m undecided as to what to put on. Lila: You know how your tastes develop over time? Well, when I tried this for the first time I felt quite traumatised. I said it was like a damp metal filing cabinet that someone had taken a wee in. Now I like it a lot! Neville: It lasts about 24 hours. Lila: It keeps the smoky aspect in check. Audience member: It’s quite bright. Notes: Cypress, vetiver, musk, cashmere wood. Neville: I love this. It translates as “black ink” and that’s what it smells like. I spray it in the winter to cheer me up. Audience Member: Some have compared it to Bulgari Black because of the smokiness. Neville: It lasts about 8 hours and can be overpowering in warmer weather. Neville: This was released in 2008 and the perfumer is Olivia Giacobetti. It is 100% natural and its notes are a secret, although the Fragrantica website lists vetiver, hay and basil. In the opening I think it smells like a campfire and bacon (general murmurs of agreement around the room). Lila: It’s quite leathery. Very unlike Olivia Giacobetti’s usual sheer style. Audience member: It smells like a horse’s skin after a gallop. Notes: Vetiver, cumin, ambrette, opoponax, beeswax. Neville: This recreates the ancient Celtic burial mound, Hellstone, in south west England. It’s oil based so lasts about 3 days. Notes: Grapefruit, patchouli, cardamom, geranium, Haitian vetiver, iris, ylang ylang. Neville: This translates as “Vetiver Salt” and the perfumer is Celine Ellena. 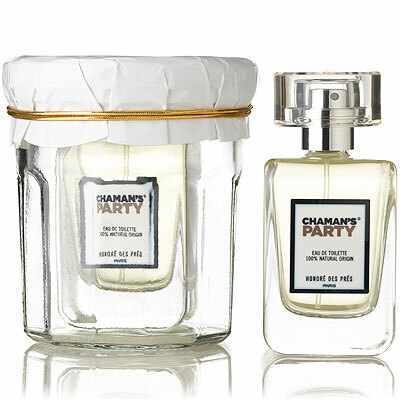 It was released in 2006 and uses two different types of vetiver. It’s a gentleman’s vetiver with a bit of aquatic. Audience member: It’s a vetiver with an ocean breeze. Thanks to this enlightening evening I discovered a vetiver I was actually happy to spray on skin – Vetiver Spice. The vanilla tames the vetiver and it has an almost crunchy burnt sugar facet. I also found there are vetivers out there which are fresh and lack the swamp water aspect I find so troublesome. Vetiver Extraordinaire and Grey Vetiver were particularly good. Sel de Vetiver didn’t have the strong saltiness I thought would put my teeth on edge and I found there is even a vetiver out there that smells like bacon being cooked on an open fire. It’s a much broader category of fragrances than I’d previously given it credit for. If the above has piqued your interest in vetivers, I’d encourage you to continue your reading with Olfactoria’s reviews for Hermessence Vetiver Tonka by Hermes, Mona di Orio’s Vetyver and Coeur de Vetivér Sacré by L’Artisan Parfumeur. How do you feel about vetiver fragrances? Do you have a favourite? This entry was posted in By Tara, Vetiver and tagged Fragrance, Givenchy, Guerlain, Hermes, Lila das Gupta, London, Meet Up, Perfume, Perfume Lovers London, Review, Tom Ford, Vetiver. Bookmark the permalink. Thank you for another fabulous write-up. Your posts surely are almost as good as being there myself. Thanks, B. I’m glad I can share the evenings with you. Every time I ask for a sample of Vetiver Tonka at Hermes in Selfridges they’ve always run out but I’ll try again soon. Maybe it will be the one for me. Lila was so kind to let me know that she had a sample of Vetiver Tonka earmarked for you, as a bottle was on hand to try, but in the heat of the moment it was forgotten. You’ll get to try it next time. Great! Looking forward to trying that next month. As always a great write up Tara. Those meetings sound like they are so much fun. I think I prefer my vetiver in the background, but Vetiver pour Elle and Coeur de VS I wear from time to time with great pleasure. I’m with you Asali. Full-on vetiver is just too much for me. Coeur de Vetiver Sacre has been on my To Try list since B’s review. How great that you have some Vetiver pour Elle. It was discussed at the meet-up and apparently it’s not even available in Paris anymore. That’s sad, but thanks for confirming. It always a tricky decision when you have to weigh up price against how much you like something, but no doubt you did the right thing at the time. Wear your decant and enjoy it! I never knew about Moleclue 03 being a vetiver. Encre Noir lives on my writing desk. A handsome bottle it is. Hellstone sounds like a real commitment and I would say it wouldn’t scrub off except with terps. No changing your scent of the day with that maelstrom. What a perfect place to keep your bottle of Encre Noire, Jordan. I love vetiver. 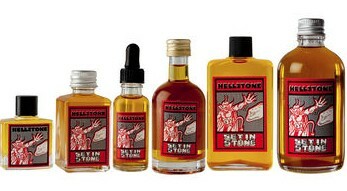 Vetiver Spice sounds good and Hellstone has me curious. Three days? I’d be happy with 3 hours so I must check that one out. For vetiver I love Kenzo Air. Encre Noir is nice too. Just last night I tried a sample I got a Sniffa over the weekend of a perfume called Citadelle which at first sniff seems like a nice vetiver scent as well. I admire women like you and Suzanne who carry off sophisticated vetivers well. A lot seem to like Encre Noire. Vetiver Spice is very good and Hellstone would work well if you have problems with staying power. I’m glad the talk managed to broaden your horizons too, Sandra. Although I think you’ve already gone to the top of the shop with Vetiver pour Elle and Vetiver Tonka. I find vetiver masculine, especially if it’s the featured note. My husband adores it. He wears Dior’s Vetyver and Florascent’s Vetyver. They’re very different – the Dior is grassy and earthy, the Florascent is more citrussy and is rounded out with sandalwood. He also admires the Tom Ford Grey Vetiver. It is classically masculine. I can imagine Grey Vetiver smells great on a man. You make the Florascent Vetyver sound very appealing. I like the citrusy vetivers for guys. Terre d’Hermes is my favourite masculine at the moment. Pretty sure it has vetiver in there. Vetiver has to be the most powerful oil, I put it in soap and it anchors every other scent! 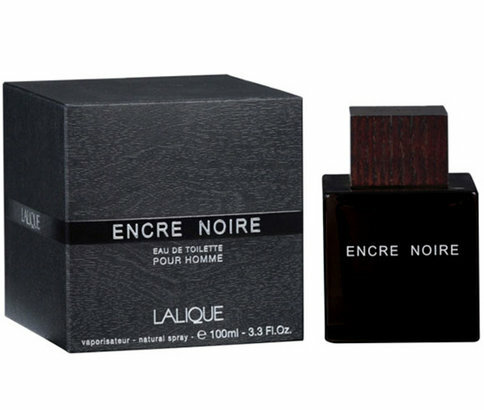 I love Encre Noir, very dry says my husband, but I wear it. I like Sycomore on him, and yes, I agree that vetiver is quite masculine in general, but the skill and artistry is in the blending. I have yet to try Vetiver Tonka mmm. 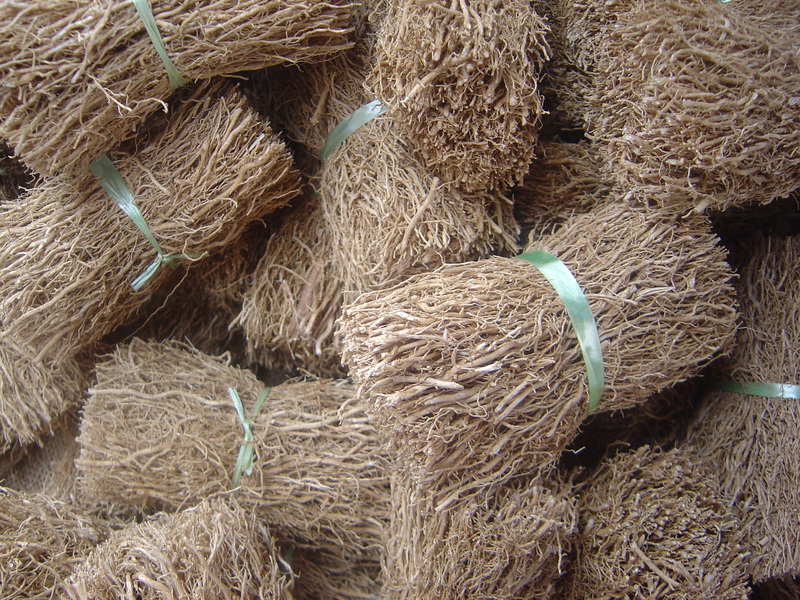 Vetiver is such a great fixature, it’s perfect for homemade soaps etc. A little drop is particularly good with rose. Encre Noire and Sycomore are two very classy vetivers. I bet the two of you smell wonderful. Vetiver Spice was my favourite because of the vanilla which makes it soft but not sweet. 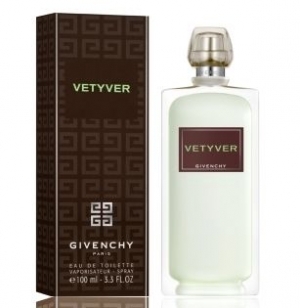 I also like Vetiver Vert (Czech & Speake) because it has a citrus top which brings out the green aspect of it. Vetiver Oriental (Serge Lutens),which we also had on the night is very deep and rich, but again less smoky and more towards the green side with a pleasing soapiness. Vetiver 46 was my first ever Le Labo purchase, got it on the spot – full of incense and wonderful, though Vetiver lovers complain it’s not vetiver enough. Thanks for a great evening Lila, as ever. Now I’m intrigued about Vetiver 46. It’s always the way with those Le Labo scents and their misleading names. In this case though I’d be glad the vetiver wasn’t noticeable. Vetiver Spice was my favourite too. Thanks for this interesting post! I’m kind of scared of vetiver, a vetiver wimp. It either smells swampy or sour to my nose and while I enjoy many “masculine” scents, some like Guerlain Vetiver and Eau Savauge are more than I can stand. 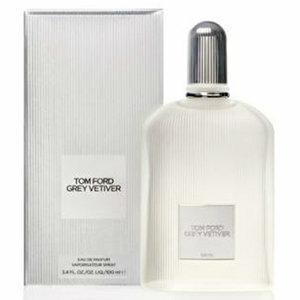 I like Tom Ford’s regular line, so I’ll try Grey Vetiver when I get the chance. Can you suggest a starter vetiver, like a vetiver with training wheels? ringthing, I’m a vetiver wimp too. Others would know better than me but I think Coeur de Vetiver Sacre by L’Artisan Parfumeur might be a good starter vetiver or Vetiver Tonka if you access to the Hermessences. Serge Lutens Vetiver Oriental is my favorite vetiver, Tara. Vetiver Spice does sound quite good, and you said that you found it to be a vetiver you weren’t afraid to spray on your skin, but I was curious: did you like it a lot? Just curious. 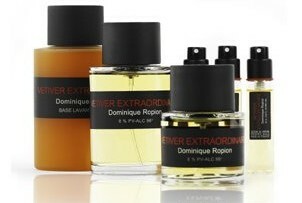 By the way, I don’t own a sample or anything, but I have smelled Terre d’Hermes and agree it’s quite dishy!!! Suzanne, I’m looking forward to trying Vetiver Oriental at the Orientals talk next month. I shall think of you. I really did like Vetiver Spice. Lila is going to give me a sample of it next month so I can spend some time with it. Foody spices with burnt, but still sweet, vanilla and vetiver in the background. Doubt I’d need to own it but I enjoyed it a lot. Terre d’ Hermes is dishy! I imagine there are a few Encre Noire bottles looking like bottles of ink on peoples’ desks. I think we should all have a “curl up quietly with a book on a cold winter’s evening scent” and I’m glad you’ve found yours, Alex. Hi Ringthing, I love the idea of a vetiver with training wheels! 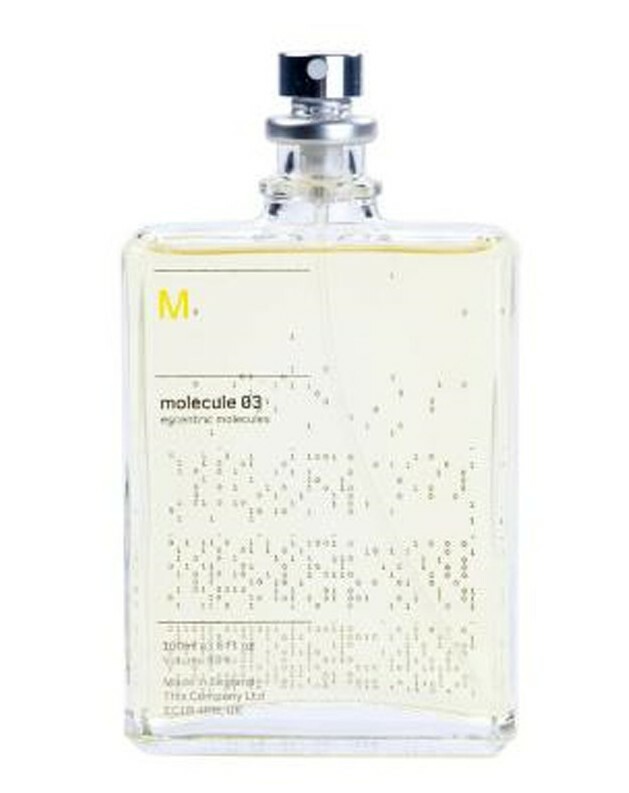 Apart from the Vetiver Spice, which I think all lovers of this note will like, Molecule 03 is a minimalist vetiver with the very smoky and green elements kept at bay. Very wearable in all scenarios. If you want something richer, Kinski, (which is by the same perfumer, Geza Schoen), also has vetiver, but a lot of other things as well that make it rich and deep. Thanks for the recommendations Lila! Vetiver is a note that I respect more than like, if that makes sense, but oh-my-goodness-it’s-amazing-on-my-husband. When he wears Sycomore I wanna…… yeah. I do own a bottle of Vetiver pour Elle that I love, it’s the perfect combo of vetiver and florals and I just don’t get why Guerlain would want to discontinue it. Dionne, how wonderful you have a bottle of Vetiver pour Elle. Just one of many cases where it’s baffling why it was discontinued. Iris Genache was just the latest Guerlain that strangely got the chop. Thanks for the write-up Tara.I shy away from vetiver too and for some reason decided that the note was not for me. I think it was because of JM Black Vetyver Cafe..I do want to try Vetiver Tonka and Vetiver Oriental. And Vetiver Spice sounds very nice too! Lavanya, at least you are still open to trying some more vetivers and you have a couple of great ones lined up there. I think you might like Vetiver Spice too. Good to hear you are enjoying Vetiver Fatal. I’m looking forward to trying Silver Iris and Gold Leather by Atelier Cologne. Happy to know you enjoyed the post and I hope you find a new vetiver to love as a result. Another comprehensive write-up of what sounds like a definitive guide to the note! I pricked up my ears at the sound of the one you liked best, Vetiver Spice – added vanilla is always a good idea in my book. I’d certainly like to avoid the swampy aspect of vetiver, and the damp filing cabinet / water closet(!) FM scent sounds like one to give a miss too, even if this was only a fleeting impression and it goes on to be extraordinary in a good way. 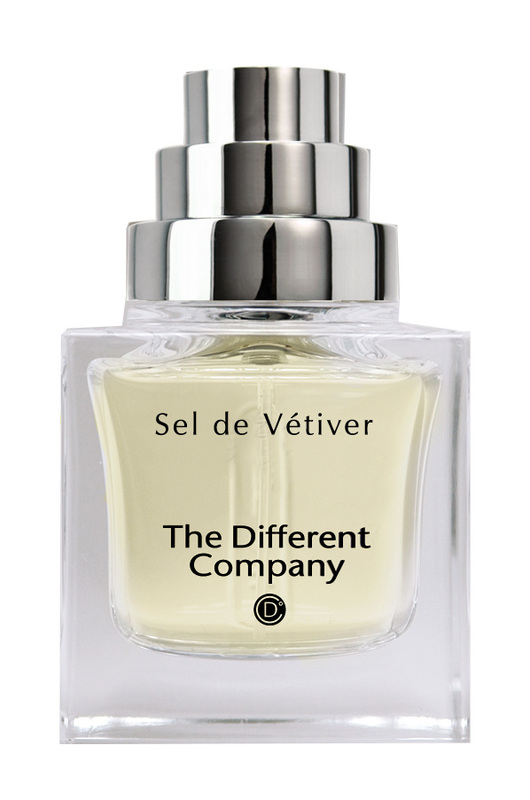 I do like Sel de Vetiver and the Miller Harris one that is a bit similar, Fleurs de Sel? Evidently sweet or savoury are routes to temper vetiver to best effect! Yes, I think you’re right V. Sweetening or freshening it up seems to work well for me too. I reckon you’d like Vetiver Spice. It’s hard to imagine Lila going from that damp filing cabinet to love! Tara, thank you for the prompt report! It’s always great to read your account of the meetings. My two favorite vetivers are SL Vetiver Orient (Suzanne, thanks) and Vetiver Tonka but there are other vetivers that I like. Glad you mentioned Fleur de Sel (Miller Harris), this is another favourite of mine – the vetiver is quite mild then mixed with the most incredible ‘sea’ note. Not sure how she does it but it does remind you of salty sea spray, (unlike a lot of ‘ozonic’ fragrances that have a hefty dose of calone and smell of chemicals). Thanks, Undina. I’m very happy you enjoy the write-ups. I’m looking forward to trying Vetiver Oriental and Vetiver Tonka next month as so many of my fumie friends like those two. Thanks for sharing your favourite vetivers, Ines! It’s nice to hear Guerlain’s Vetyver getting some love. All Mona’s creations are so good. I hope you like the new violet. Thank you so much for reporting to us ! This was primarily for you, dear LJG, so glad you liked it! You know you actually make the L’Artisan sound even more appealing to me. I’m going to Harrods next week so will be sure to check it out. I’d love to know what do you think about both, the one by L’Artisan and the Jo Loves one ! I will report back to you on my further adventures in vetiver land! Vetiver is a note I absolutely love. But there are so many vetivers I still need to try. My top two so far are Guerlain’s and Malle’s. The Givenchy, Lalique, and Tom Ford are at the head of those I want to try next. I thought you were a fan of vetiver in general and of the Malle in particular, James. I’m very pleased you liked the write up as it’s a note you love. I’m sure you’ll enjoy those three that you plan to try next. Right. I wondered what in the world I was getting into when I first tried VE. But I definitely love the note now. Great! That one is obviously a bit of a grower.